Spot the difference! 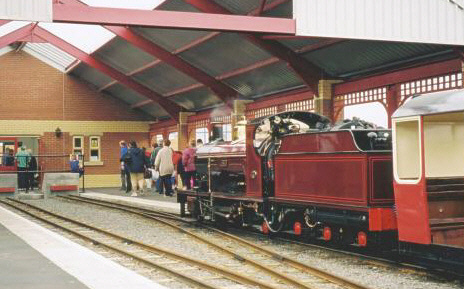 Si�n at Cleethorpes, above in 1996, and below in 1997. Same location, same train, same driver, but during the winter a new cab had been made, the running boards were reduced to their original width and a repaint completed including lining. 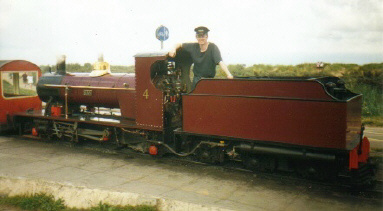 Si�n ran at Cleethorpes in 1995, 1996 and 1997. 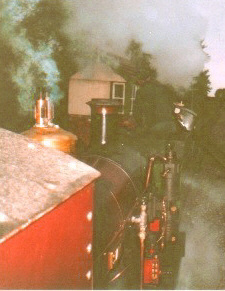 She was originally hired to the railway to help solve their locomotive shortage, but in due course, Katie and No.24 also arrived. This meant the line was being run by ex-Fairbourne Railway engines. By 1998, the CCLR decided they no longer needed to hire Si�n. 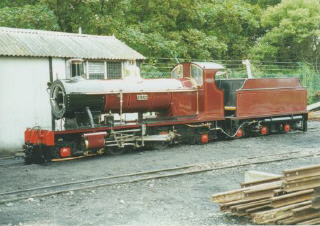 Si�n made a brief visit in 2001 for their gala weekend.